UPDATE: THE mum left with a "trailer trash" hairdo has been given a new do - for free. 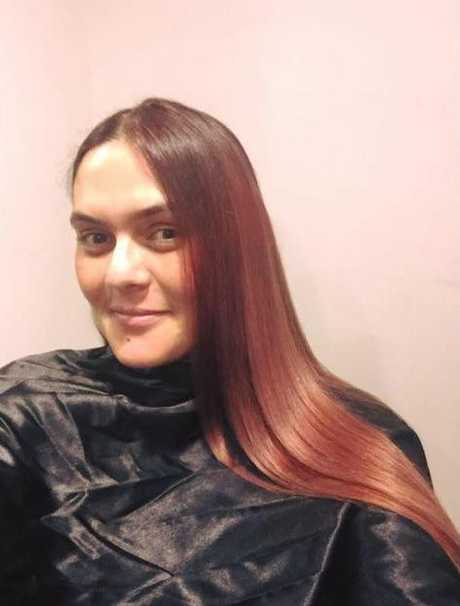 Sydney woman Nina Mather took to social media again on Thursday, this time to share photos of her beautiful new, auburn locks. "A shout out to...Simone Seminara-Monardo who worked a miracle and began the repair work free of charge - I cannot thank you enough," Ms Mather wrote on Facebook. The social worker made national headlines this week after she went to a salon to have the Belayage dye technique applied to her hair. "I asked for Belayage and showed photo then was expected to walk out with finished result," Ms Mather said in her original Facebook post. Instead she walked out with what she referred to as a "trailer trash look" and was forced to pay her $200 bill after the salon called security and the police. "Law states I have to pay the $200 and get back through fair trading - what a joke." Ms Mather said she is still trying to get her money back through Fair Trading. EARLIER: A MUM left with a "trailer trash" hairdo has been forced to pay for the privilege. 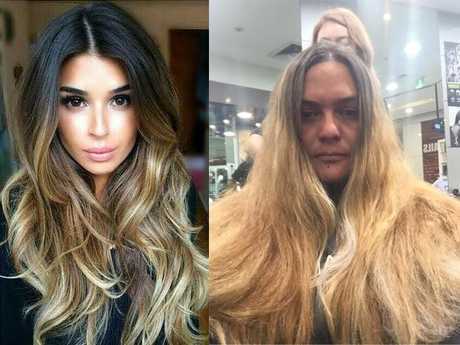 Nina Mather, a social worker in Sydney, went to a western Sydney hair salon to have the Belayage dye technique applied to her long, dark hair. Belayage is the technique for highlighting hair by painting dye on in a way that creates a gradual, natural-looking effect. This is the photo Ms Mather took in to the salon. This is what she expected to walk out with. This is what she got. During the process, Ms Mather complained and said she wouldn't pay her $200 bill. "So they tried to fix it with more bleach until I was so upset they called security and the cops!" Ms Mather wrote in a post on Facebook, that has been picked up by media around Australia. But she is being forced to pay up the $200 - because that's the law. "Law states I have to pay the $200 and get back through fair trading - what a joke," she said. "Love the trailer trash look! $200 bucks worth of bottle bleach! ...RIP my awesome hair." According to NSW Fair Trading, a customer has the right to a remedy if goods fail to meet a guarantee. Common remedies include repair, replacement or refund.